Ethiopia shows promise for spas, as the spa and wellness segment has been made over along with the country’s growing tourism industry. With the boom in foreign visitors, Ethiopia has made massive investments in both its hardware and software in the hospitality sector, and is rallying towards establishing global standards in its service and product offerings. This hospitality sector includes the spa industry, where investments have been made in people and technology. Continued investments include constant training of spa staff, business infrastructure, customer service and product offerings. While spa and wellness have remained an integral part of Ethiopian society, recent trends have shifted towards customer satisfaction built on strong professional ethics. “Spa and wellness services have attracted a phenomenal interest from both our clients and residents of Addis Ababa [the capitol of Ethiopia]. This has largely been driven by the increase in business and leisure travelers coming into Ethiopia and a growing number of returning and visiting Ethiopian diaspora [a group of people living outside of their country] who expect a certain level of standards that they are accustomed to in their home countries or in other countries they have visited,” explained Michael Teka, the spa and wellness manager at the newly opened Capital Hotel & Spa in Addis Ababa. The Capital Hotel & Spa is currently finalizing what is set to become one of the most luxurious spa and wellness centers in Addis Ababa. “We are currently finalizing completion of our state-of-the-art spa and wellness center that will be hosted on four floors. [The spa will] offer an unrivaled level of service and therapies,” explained Teka. The spa will have a reception on the ground floor that further opens into a restaurant and bar with healthy food and drinks. A heated pool sits next to the main entrance of the annex building next to the main hotel building. The first floor currently hosts the gym, where Teka has designed fitness that incorporates the country’s rich cultural heritage. Key among these is a unique exercise routine that features a blend of some of Ethiopia’s diverse traditional musical beats and dance routines. “Ethiopia has more than 80 cultural communities, and each of them has their own unique traditional dances. We have incorporated some of these dance routines into our program. These routines are highly engaging on the body and are therefore a wonderful cardio therapy that cannot be sampled anywhere else in the world,” explains Teka. In creating this new routine, Capital Hotel & Spa aimed to create an African version of the popular Zumba routine that has taken the fitness world by storm. The second and third floors will host spa areas for women and men, respectively. The women’s and men’s spa areas will be nearly identical, each with a changing room, six treatment rooms, a Moroccan bath, a steam room, a sauna and a whirlpool. The women’s section will include a private room that would be ideal for families or couples. It will come fitted with two treatment tables and a whirlpool. “Since we are a family-oriented facility, we have modeled this private spa room around the family. They are assured of their privacy. This would also be ideal for couples on a honeymoon, celebrating an engagement or celebrating an anniversary,” noted Teka. There are also rest areas with comfortable beds for relaxation and meditation. The men’s wing will also have a lounge with a barber shop, while the women’s wing will also have a lounge and salon. “We will only use some of the best spa products available, and we have almost completed the training sessions for our staff. We have invested heavily in them since we want to offer a level of service that is currently not available in Addis Ababa, our aim is to set the trend in the spa and wellness industry in Ethiopia,” added Teka. Another resort spa in Ethiopia, and perhaps one of the country’s earliest spas is Kuriftu Resort and Spa, two resort facilities owned by Boston Partners PLC. The company also owns Diplomat Restaurant, Boston Day Spa and Castel Kuriftu Wine House. There are two locations for Kuriftu Resort and Spa, one in Debre Zeit in Addis Ababa and Bahir Dar, with plans to open one in Buraya in the near future. Debre Zeit is known as an escapist fantasy, set on Lake Kuriftu. The 50-acre estate comprises 105 suites, a swimming pool with sunbathing terrace, an organic spa with Swedish style steam rooms and a gourmet restaurant, and looks out onto Lake Kuriftu with a two-mile long mountain view. The resort is rated high for its service, and the staff prides itself on impeccable service, attention to detail and absolute privacy. The spa has a wide spectrum of treatments and healing remedies. The treatment rooms are filled with elegant aromas, and treatments such as massages are all-inclusive with a guest’s stay. Additional services such as facials and hair design are also available upon request. Bahir Dar is located 550 km northwest of Addis Ababa on the shores of Lake Tana, where the Blue Nile river originates and guests can view the Blue Nile Falls. The Bahir Dar location features a clever blend of native Ethiopian architecture and décor. The resort comprises 28 suites, a large swimming pool with sunbathing terrace, a gourmet restaurant looking out onto the lake view and a spa designed to allow the client to relax and unwind. Across town is Tilla Spa, a spa that prides itself in being medium-sized and considers itself a boutique spa that enhances the experience of all of its clients. “Our spa and fitness center’s core role is to offer what our clients need. We want to retain our size both in terms of floor space and membership because we are more after quality service than quantity,” says Simone Lipari, owner and manager of the Tilla Spa. With a desire to offer unique services and products, the Tilla Spa is currently the only spa in Ethiopia that is offering Dermalogica facials. Skin professionals have to attend extensive training programs from Dermalogica on how to use these products. “We are continuously training our staff so they not only know how to do a certain treatment, but so they can also connect with the client ... to offer what the client needs. Moreover, we also have our own range of spa treatments that have been specially designed for us and for our range of clients. We have branded them under our name Tilla and they have been popular because they have been crafted to meet the needs of our clients. We are currently the only spa in Ethiopia with our own signature brand, and the market has responded really positively to this,” added Simone. Tilla Spa opened in 2014 first with yoga classes before gradually turning into the full-fledged spa it is today. It also offers a health and fitness unit, and a healthy food and beverage area. Simone, who is originally from Sicily, Italy, finds Ethiopia to be an untapped market, especially in the hospitality sector, which could bring large revenue into the national economy and help employ millions of people both directly and indirectly. “Ethiopia is a huge emerging market, and those keen on investing should come in right now. My objective is to help shape the spa and wellness industry here in Ethiopia; to help set standards—high standards that will be a benchmark of unique product and service offerings from Ethiopia,” commented Simone. Nearly 275 km south of Addis Ababa lies the lake-side resort city of Hawassa, where The Haile Resort resides. The resort and spa is owned by the legendary athlete and the father of Ethiopian athletics Haile Gabreselassie. It is known for offering a complete range of spa and treatment therapies, and there are two other Haile locations in Ethiopian towns (Shashemenne and Ziway/Batu). The decision for the resort to include a complete spa is based on the experiences of the legendary athlete during his checkered athletics career, where he got access to some of the best facilities that helped his mind, body and spirit relax before and after a grueling race. “His desire was not just to offer a hotel, but [he] wanted to enrich a stay with a spa experience that would help relax and rejuvenate the mind, body and spirit,” explained Tewodros Mesfin, director of sales and marketing at Haile Resorts. Aside from the resort at Hawassa, Gabreselassie has built another resort with a spa in Ziway and is looking at expanding the resort and spa concept to other regions across Ethiopia, including in Addis Ababa and in Bahir Dar in the north. “Since we cater to a wide range of clientele that includes leisure travelers and conference delegates, we are aiming at providing suitable spa treatments that are meant to address their unique needs. That means we have to know and assess their health and physical needs,” added Mesfin. Overall, the spa and wellness subsector in Ethiopia is still in the development stage and has a long way to go in terms of the available infrastructure, equipment and trained therapists. But the signs of an upward trajectory can be seen, and the injection of professionalism in the subsector will go a long way into helping it develop to new heights. More resorts and hotel units in Addis Ababa and across the country are continuing to add spa and wellness services. 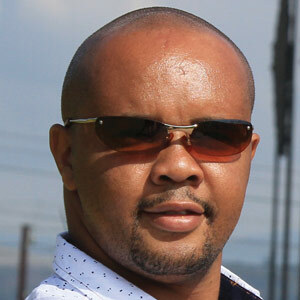 Denis Gathanju is a freelance journalist and photographer who is passionate about all things Africa. He has written for a number of consumer and trade publications. Gathanju can be contacted at 254-722-731003 or dgathanju@gmail.com.